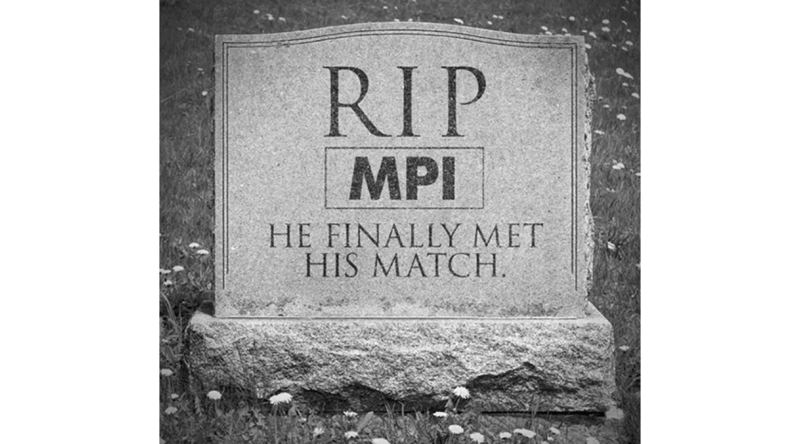 Today, we mourn the timely passing of a dear but increasingly obsolete—and obstinate—friend, Master Patient Index. Born in the 1990s, Master Patient Index was an ambitious and necessary technology who was a critical component of every healthcare organization’s broader IT infrastructure. Although neither the most sophisticated nor the most robust healthcare technology of his generation, Master Patient Index still achieved success throughout the 90s and early 2000s, helping thousands of healthcare organizations match patients to their records. However, Master Patient Index’s life was not without challenges and disappointments. Having inherited poor quality data from those he integrated most closely with, even his most advanced algorithms struggled to match many of the patient identities he held so dear. As a result, Master Patient Index required greater support from those around him to overcome his patient matching shortcomings. In his later years, many healthcare organizations had to provide around-the-clock care—strictly governing his data and performing periodic cleanups of his systems. And many more organizations were forced to come to terms with hiring teams of health information management (HIM) professionals to manually resolve duplicates he couldn’t resolve on his own. Alas, performance issues like his weren’t the kind that could simply be cured by a pill. Ultimately, Master Patient Index’s passing was due to the increasing pressures and burdens placed on him to accurately match patient identities in an ever more complex healthcare ecosystem. He was expected to support more IT systems, enable advanced analytics, and facilitate data exchange with other organizations. Yet he had never really reinvented himself to address these rapidly expanding requirements. And worse still, these demands came at a time when the business costs associated with his decreasing abilities were growing astronomically. Never married (and frequently failing to match patients who themselves had married, moved, and changed their names), Master Patient Index is survived by a next-generation MPI technology: the Verato Universal™ MPI. The Verato Universal MPI is HITRUST-certified SaaS solution powered by Referential Matching technology that any organization can easily deploy in as little as six weeks. Simply put, it is the most accurate, easiest to implement, most secure, and most cost effective EMPI on the market. In lieu of flowers, please send notes of condolences to the Office of the National Coordinator (ONC) for Health Information Technology.